When the weather gets cooler, it's time to celebrate the change in seasons! From picking out fall crops or eating great festival food like popcorn to fun music and dancing, there's something for everyone at a fall festival. 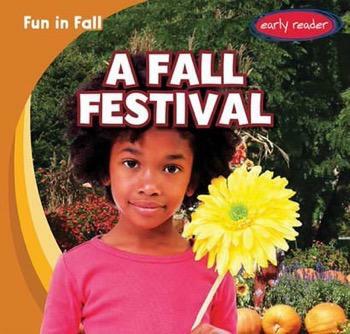 Captivating photographs paired with rich and age-appropriate text guide early readers through a fun trip to the local town fall festival loaded with exciting sights and sounds. As a family takes in the scenery at the fall festival, they'll learn just how much fun fall can be in this exciting book.